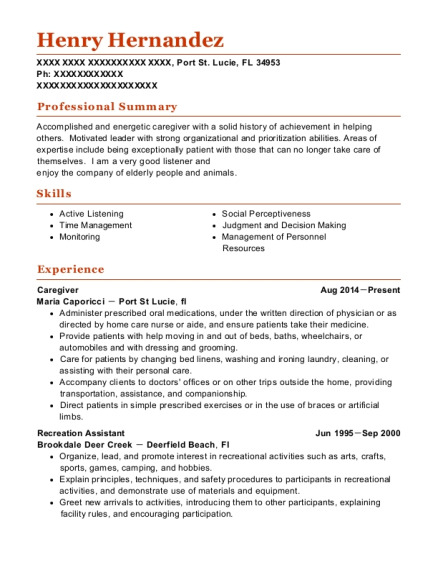 I Patsy Akens, is seeking a position that defines my skills and the personality that I up hold; the opportunity that opens doors for my future. I gain a different perspective when I acknowledge the challenges that are available to help me achieve. 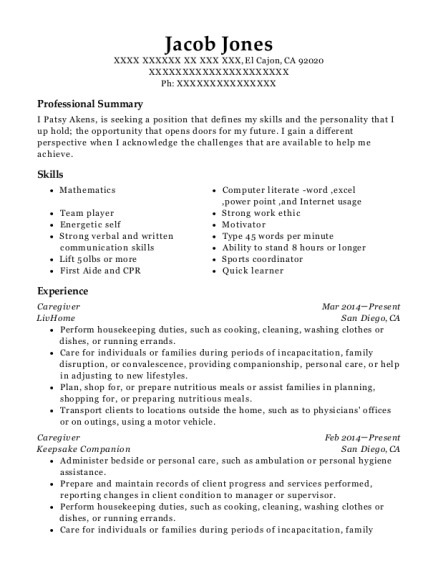 This is a resume for a Caregiver in El Cajon, California with experience working for such companies as LivHome and Keepsake Companion. 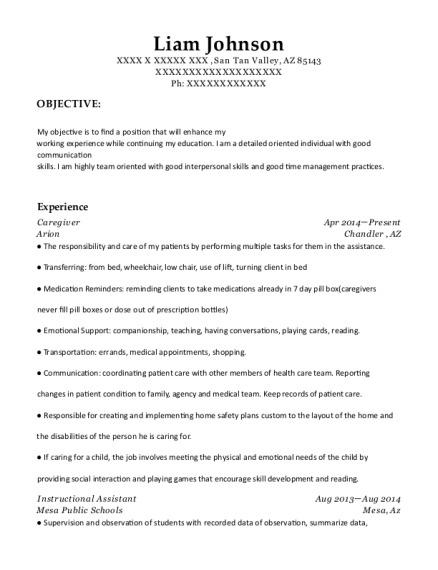 The grade for this resume is 0 and is one of hundreds of Caregiver resumes available on our site for free. 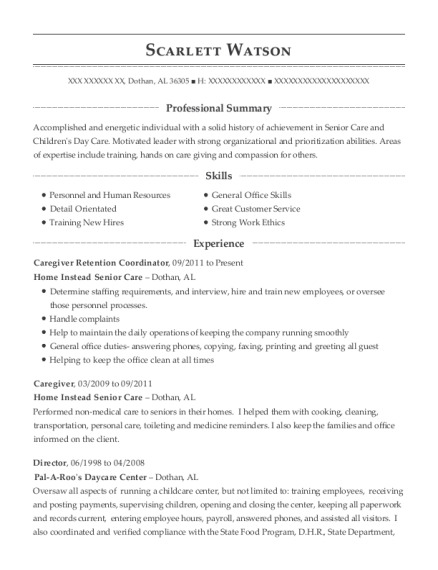 Use these resumes as templates to get help creating the best Caregiver resume.